I’ve been turning over in my mind the question of why and how speculative fiction fits into “genre fiction” box. I chose the metaphor of a “box” quite intentionally. Being “boxed in” is a defining feature of genre fiction. Mysteries are mysteries because they adhere to the rules of that genre. The same goes for romances. And for techno-thrillers. These rules aren’t always stated, and they’re certainly stretchy and, over time, mutable. But they have some firmness to them; their elasticity is limited. Stretch them too far, and they’ll break. While what results might be a good story, it will no longer easily fit the expectations of a genre’s readers. Marketing that story as fitting into a genre whose rules it breaks can be risky. It must pay off sometimes, but I bet it often doesn’t. But speculative genres … are they “boxed”? 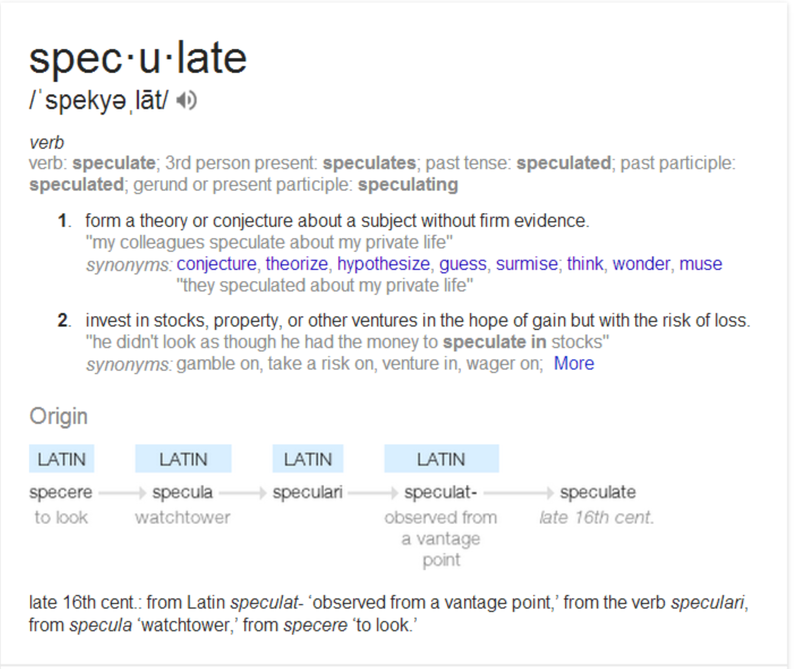 To “speculate” is to wonder or hypothesize outside the constraints of evidence. You can speculate about anything and arrive at any conclusion you like because you never have to back your ideas up with facts, images, data, or a quotations. Sounds pretty unboxed to me. Why are genres such as science-fiction, fantasy, horror, slipstream, superhero, dystopian, apocalyptic, and alternative-history considered “speculative”? Well, part of it has to do with impossibility: we don’t have fast-than-light travel, there are no monsters, and history went down the way it did. I think of this as the nuts-and-bolts approach to defining the genre—speculative books depend on settings or plot points that can’t exist or happen in the real world of the present day. But another way to think of the speculative genres is more philosophical: they ask, “What if?” You can imagine an author leaning back in her chair, rubbing her chin, and thinking, “What if Lincoln hadn’t been assassinated?” Or, “What if we met some aliens, but we couldn’t understand them?” Or, “What if that guy working at the 7-11 turned out to be a faerie prince?” “What then?” she says to herself. And she writes a book about it. Maybe parts of her story are formulaic because some of these questions have been asked quite a few times. But the larger agenda that prompts them is impressive—it’s to free humanity from the constraints we know it operates under and see what happens when something that can seem tired and old, reality, is replaced by the new. Under impossible circumstances, do we become more human? Less? Or are we fundamentally unchanged? Perhaps our circumstances don’t make us. Perhaps we always are as we are. These philosophical underpinnings, oriented as they are toward a freeing from constraint, seem to me fundamentally non-boxy. But perhaps there are currents of generic constraint within speculative fiction that counter these loosing impulses. I think I’ll have to leave the pot simmering on the stove a bit longer; I don’t have a clear answer to this one, as of yet.